Coats of armds and bas-reliefs from the walls of the city of Rhodes. Bas-relief of Saint Peter, Saint Catherine and Saint John the Baptist. Inscription commemorating the construction of the Sea Gate under Grand Master Pierre d'Aubusson. 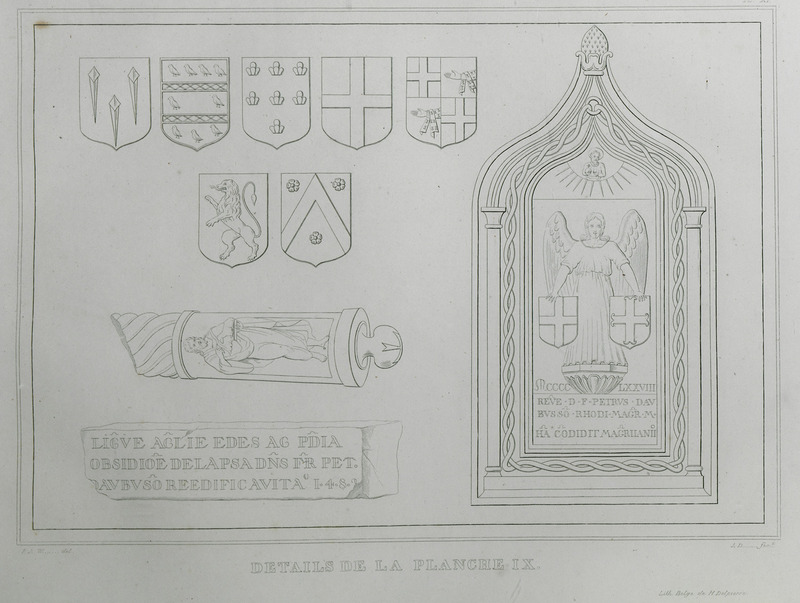 Relief of angel and coat of arms of Grand Master Émery d'Amboise, from D'Amboise Gate. Ottoman inscription from the same gate (“There is no god but God, Muhammad is the messenger of God."). 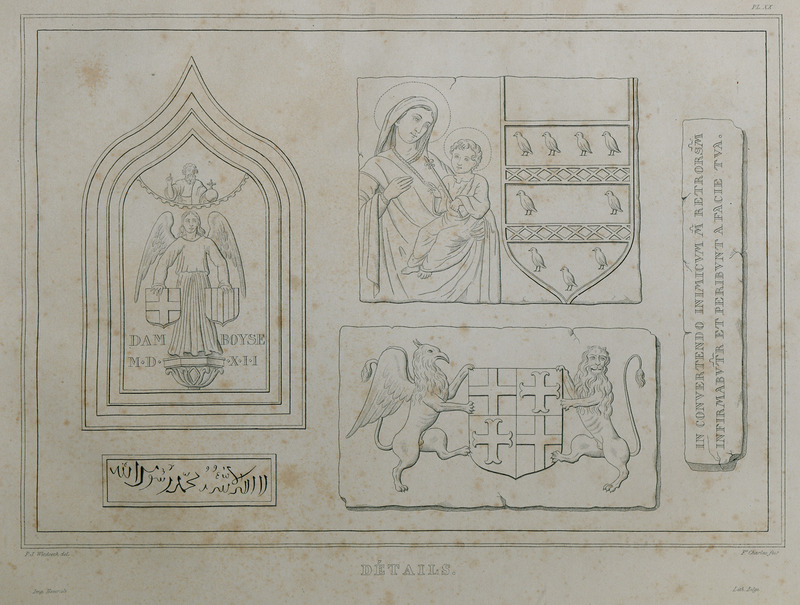 Relief of Virgin with infant and coat of arms of Grand Master Pierre d'Aubusson, discovered in the Jewish quarter and kept at the Franciscan monastery in Rhodes. Coat of arms of the Knights Hospitaller from the medieval town. Latin inscription «In convertendo inimicum meum retrorsum infirmabuntur et peribunt a facie tua» (Psalms 9:3 “When mine enemies are turned back, they shall fall and perish at thy presence”), referring to the siege of Rhodes by the Ottomans. Reconstruction of Saint John's lodge in the medieval town of Rhodes. 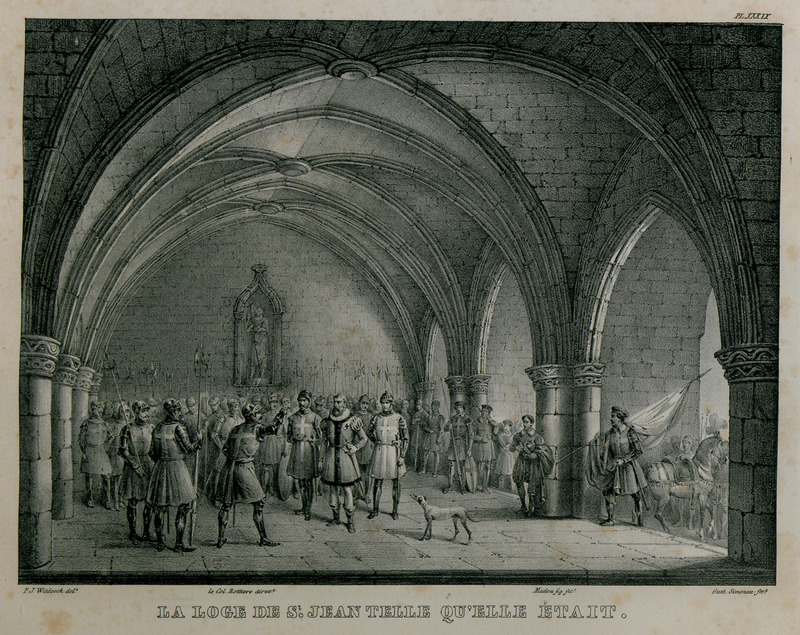 Knight Louis de Graon announces to Grand Master Pierre d'Aubusson the approach of the Ottoman fleet under Mehmed II (1480). 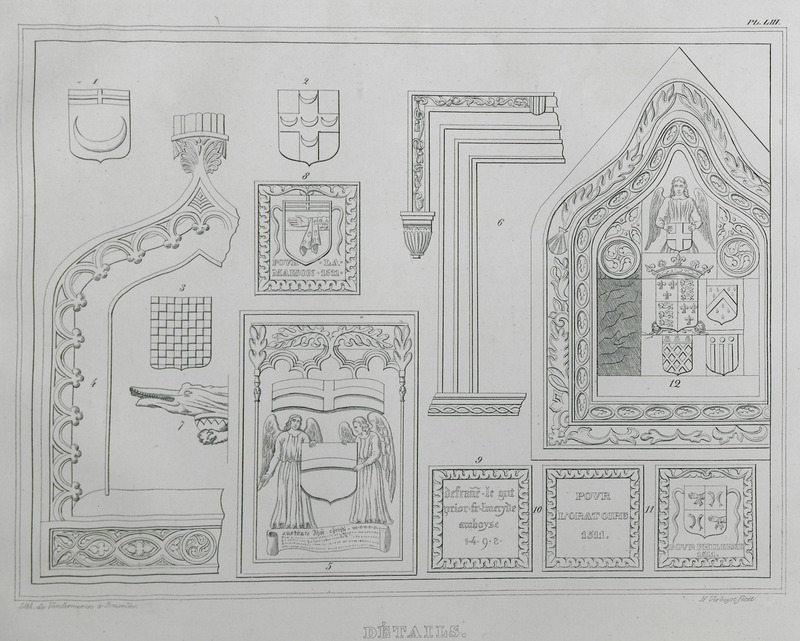 From Agios Stefanos or Monte Smith hill: Coats of arms of Grand Masters Pierre d'Aubusson and Émery d'Amboise, decorative features from several buildings, inscriptions and a gargoyle.